I addressed this topic once before using Bob Bixby’s notes on Hebrews 12. I want to again consider the root of bitterness from Hebrews 12 in the context of the ongoing, long term struggle at Mars Hill Church. I have relied heavily on Bob’s exposition for this post. The “Bitter Card” has trump power. Pop that baby out and you can dismiss the criticism. It’s played this way: person A has a grievance that he/she does not feel is being understood. Eventually Person A vents too often, too emotionally, or even sinfully, …. At this point, play the “Bitter Card.” This puts them on the defensive and, in the minds of the clueless, guts the bitter person’s argument …. Often people who play the “Bitter Card” employ Hebrews 12:15 and warn that the bitterness could result in the defilement of many. The bitter card has been used for years in Seattle against those with growing concerns about Mars Hill Church. I personally have feared speaking at times because of this common criticism and the shame of being possibly labeled a gossip or, worse yet, a contentious woman. A careful examination of Hebrews 12:15 has been helpful to me. The context of Hebrews 12 is the slog of Christian faith after the excitement wears off as you continue enduring for the long haul. We are surrounded by a cloud of witnesses that has gone on before us and cheers us from the sidelines. We are also being discipled/disciplined by the Lord, as He roots out sin and transforms us into His image. Our heads droop as we endure for the long haul. Limbs are out of joint, but we are to set them straight. And we must STRIVE for peace and holiness, because without those, no one will see the Lord. Many of the folks standing up publicly against the institutional sin at Mars Hill Church recognize the serious exhortation and warning of Hebrews 12:14-15. They may not always be obeying Ephesians 4:31, but they are obeying Hebrews 12:14’s instruction to strive for peace. The word strive in this passage indicates an active fighting for something. Fighting for peace?! It is a paradox worth considering. What’s clear about verses 14-15 is that you can’t fight for peace AND retain the root of bitterness. That root and such peace don’t coexist. As we fight for peace, we are to guard ourselves and others against failing to obtain the grace of God. That is a phrase beyond my ability to totally understand, but whatever it is, I don’t want that failure for myself or others. And the connected thought is to be diligent against the root of bitterness! This failure of grace is linked to the springing up of this root of bitterness that goes on to defile many. This root must be addressed! The “root of bitterness” in Hebrews 12:15 could more aptly be applied to the scourge of immorality and its abuses than to the wounded, spiteful, angry, and sometimes over-the-top venting of those who have been “defiled” by it. In other words, friends, the disgruntled are more likely the “many” who have been defiled by the “root of bitterness” … than bitter souls who ought to be dismissed for having a bad attitude. Conclusion: Please do not project sin onto all of those publicly calling Mark Driscoll and the Executive Elders at Mars Hill to repentance. Do some people sin in calling Mark to repentance? Absolutely! Are some people bitter and angry? Most certainly. If you know those people personally, should you walk with them to see the sin in their tone? I think that could be really helpful when done in love and understanding of the duress they have been under. But understand too that there is a root problem underneath the anger and bitterness of such people, and the author of Hebrews says that the Church must face that defiling root head on and address it. Mark Driscoll has led and influenced many with serious unaddressed sins in his own life, including deep anger and bitterness. He acknowledged it publicly in Real Marriage, but the fact that 20 elders with issues from the last 2 years have newly accused him reveals that this sinful anger problem from 2007 is ongoing. He has repeatedly at various times in his ministry spoken publicly in ways that have revealed a heart that despised his church members and fellow elders. Jesus taught that out of the overflow of the heart, the mouth speaks. Understand that Mark’s public words weren’t slip ups. They reveal his heart, and the result of these unaddressed and undisciplined sins in his life is that many, many, MANY under his care have been defiled. It is good and right that those in his community, tending to the very wounded that Mark himself joked of running over, call for his repentance and resignation. This call and confrontation can and should be done privately. But Paul teaches in I Timothy 5 that there comes a point when it can and should be done publicly as well. God LOVED His Church, His precious bride, when He inspired Paul to write about elders in I Timothy 3 and 5. He protects His Church when He tells us that an elder must be habitually gentle, that he must have his strength under control. God is protecting His Church when He says that elders shouldn’t be verbally or physically violent. God is loving His Church when He says that elders should be above reproach and respected by outsiders. He’s loving His Church when He says that two or three witnesses establish the truth of an accusation against an elder. He’s loving His Church when He says that elders who don’t repent must be publicly rebuked. This root of bitterness at Mars Hill through which many have been defiled MUST be addressed. Please note also my conviction that there is much grace and forgiveness for those who face their sins head on and lay down defensiveness. Jesus has paid for these things, and He can redeem and restore. I wouldn’t post any of this if I didn’t have this hope for both offenders and those offended through Mars Hill leadership! Repentance is a beautiful gift from God that blesses both the offender and the one offended. I have read public letters of repentance from 5 former Mars Hill elders and heard countless stories of private weeping and restoration as others repent privately to those they harmed by their actions. An elder and his wife came to me in repentance, confessing their sins for adopting Mark’s heavy handed manner and cutting off relationship for fear of reprisal at Mars Hill, and it was BEAUTIFUL. It was the glory of Jesus’ death and resurrection poured out in front of me. I didn’t exactly see a dove or hear an audible voice, but I clearly sensed Jesus’ “It is finished” whispered around me in the wind. God is disciplining Mars Hill leadership right now for their good. Do not believe the lie of Satan that this is persecution. No, it is discipline. God is using the larger Body of Christ as hands and feet calling Mars Hill leadership to repent. A root sprang up, and many have been defiled. It must be addressed. But do not fear repentance or despise those who call for it. Because Jesus died and rose again, we can face head on that which once would have condemned us. We can walk out on the other side cleansed and purified. Understand though that this incredible grace from God does not come cheaply. Actually just a poorly worded sentence. I added commas. Hope it's more readable now. Thanks!! In another blog, I recently read that in Hebrews 12 the word peace meant another word that describes the wholeness that you experience when all the essential parts are tied together. This refers to the completeness of a relationship or the joining together of separate parts. However, this peace should also go along with holiness, meaning we shouldn't keep the peace at all costs ignoring the problems. I agree with this idea of peace. Excellent post. Excellent post. Mature and balanced. The tone is meek and appears focused on love and healing for all. I was glad to have read it. To the above Anonymous… that is the case normally, but at mars hill there is nothing set up, no opportunity for a member to effect any change within the body. It's not like a normal church body in that way. Its too big. You don't think such conditions have already occurred? Wendy, I really wish I didn't have to post this comment anonymously, but thank you. This is an excellent post that led me to study Heb 12:14-15 a lot more closely and then wonder why I've gone on so long thinking the passage was primarily (if at all) focused on one's personal feelings of bitterness. The cross-reference back to Deuteronomy 29:18 (in the ESV at least) is especially instructive in my mind: we're not talking about a bitter victim of sin, but a perpetrator whose sin is negatively impacting an entire community of believers! I'll keep digging, but so far only the ESV Study Bible notes (which note the reference to Deuteronomy but then oddly and without explanation link it to personal bitterness) seem to contradict this interpretation. And the fact that the “bitter card” is played against even legitimate complains against the powerful in the church is monstrous but unfortunately far too frequently experienced, and that definitely occurs at Mars Hill. Unfortunately my wife and I have been both givers and receivers of such treatment. saying it is unlikely it would be the Lord who would lead one, then, to go to the ‘airwaves’ and thus make one a contributor to the potential stumbling of little ones learning what to do with hearsay, etc. Could one not limit their public comments to the sins of Mark Driscoll and MH's executive leadership that are NOT heresay and still have plenty to warn the sheep about? Issues such as the Result Source contract, NDAs and No-Competes (euphemistically referred to at the “Unity of Mission Statement”), and the firing/dismissal of dissentters are now public knowledge, not heresay or gossip. Also, by what authority do you claim that the Lord would not lead somebody do speak publicly? Not being in the know about the details at Mars Hill, I share the Scripture in John 17, the precious prayer of our Lord and Savior Jesus prays before He begins His Passion in the Garden of Gethsemane: “I do not pray for these only, but also for those who believe in me through their word, that they may all be one; even as thou, Father, art in me, and I in thee, that they also may be in us, so that the world may believe that thou hast sent me.” Jesus continues His prayer for us even today and beyond. How are we striving to fulfill our own part of this conditional statement so that the world may believe that God has sent Jesus to save the world? I invite you to come to your local Catholic Church whose arms are open wide to the reconciliation of all Christ's family, the Bride of Christ. Come to the altar as we receive the Real Presence of Jesus in the Eucharist, the Great Thanksgiving. I reconciled with the Catholic Church in 2010 and have found a rich depth of God's Truth through the the Saints that surround us from Hebrews 12 teaching the continuity of Truth for 2000 years. http://www.catholicscomehome.org All are welcome, hope to see you! this is the internet age and Mark is a very, very public figure. this matter DOES affect all blog readers. and all Christians, really. A very few here may know that I have a blog called “From Bitter Waters to Sweet”. Even less people would know that my pseudonym, “Mara Reid” is taken from the Bible story of the bitter waters of Marah (Exodus 15) and the prophecy of Jesus being a bruised Reed which will not break (Isaiah 42). In Exodus 15 Moses threw a branch into the waters and made the bitter waters sweet. Jesus is a referred to as a branch in Isaiah 11 and a reed in Isaiah 42. Jesus is the only one who can make the bitter waters sweet. The commandments, rules, and lording over of men do not make for sweet waters but actually are, or at the very least, the cause of a root of bitterness in those they lord over. I appreciate you addressing this. It goes on in far too many places. Mars Hill is only one of those many places. One of the best, most thought provoking, expositions of the first few verses of Hebrews 12 that I've ever read or heard. Also, for those of us who are ignorant of the inner workings and conflicts of MH, but who have close family members who attend there, could you share a link to where we can learn more about what's been going on? Thanks! Needless to say, a root of bitterness grew, but God's grace is UPROOTING POWER. Wendy, thanks for this. As a Seattle area priest, I have concerns too about the long-term effect of Mars Hill on some. Christ's Church is full of messed up people. (I should know; I'm one of them.) So it behooves us all to learn how to ignore the haters while heeding the critics. My hope is that Mark Driscoll and Mars Hill will grow into an ability to listen to those critics. And may the critics not be overcome by bitterness but see it as a symptom to be managed while the cause is being reformed. On Facebook, check out We Love Mars Hill. 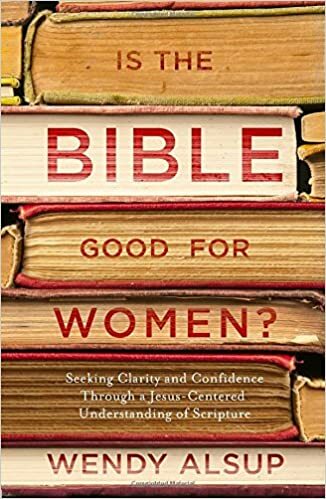 I was a deacon at Mars Hill for several years, titled something along the lines of deacon of women's theology and teaching. Mark endorsed my first book, Practical Theology for Women. Mars Hill leadership expired everyone's membership in 2008, otherwise I might still be there today — I have strong views about the covenant we made with each other as a church. However, when leadership expired the covenant from their end, I felt it a gift of God allowing me to join another church. But you can't really LEAVE any church as we remain brothers and sisters in Christ with obligations toward one another. Wendy, Thank you for speaking Truth and standing as the Watchman at the gate to cry out for Justice and the wicked to repentance. Ah! Now it makes more sense. Thanks for your reply, Wendy. They “expired the covenant”?! That's bizarre! How does one “expire a covenant”? My husband and I learned the hard way about how abusive independent churches with strong, unaccountable leaders can become, but even that church would never have considered such a thing. That is just weird… And yes, I will check out the Facebook page you recommended. I hope this doesn't sound to negative. But as an Atheist your post and the comments sound like you are arguing about how many angels fit on the head of a pin. Of course there is no pin or angels. This Mark guy seems like a real piece of work. Makes me wonder what the blog posts would have looked like for Jim Jones's church before he served up the Kool Aid. It doesn't sound negative. It just sounds like you don't believe in God or the Bible. 🙂 I'm sure the rest does sound ridiculous. Faith in the God of the Bible does radically change one's perspective about such things. always curious why atheists visit these sites, also how atheists form opinions, judgements, etc. since everything is random and anything ought go as to one’s own thinking right? re: Jim Jones – he must have thought he was right so who’s to say otherwise. For Christians, we know God determines everything; He is our authority, being the author of life and all; and His word and Spirit conforms our minds, thinking, actions to His, though you can probably tell He is still at work. Anyway, should let you know that there is a God and He tells us there is a thief that comes only to steal and kill and destroy, but Jesus came that we may have life and have it abundantly (John 10:10). This is an offer for anyone, for as many as receive Jesus, to them He gives the right to become children of God, even to those who believe in His name (John 1:12). Why don’t you join us and have eternal life.. it’s not too late….yet. Amen! I came from Mars Hill Ballard and an Acts 29 church, experienced some leadership abuse, and was very confused about what “church” and “Christian community” meant for many years and almost walked away from Christianity altogether. But thanks be to God I found my way into the Catholic Church and have experienced such an amazing outpouring of God's grace and a renewed and deepened love for the Church, which is the body of Christ. I encourage all who feel confused about what “church” is because of abuses at Mars Hill or Acts 29 to seriously consider and look into the theology and claims of the Catholic Church. well, in true sincerity, with all respect, the Lord has exposed deeds of darkness to the Light, such difficultly there –many many decades of it, hasn’t He- and so how good He is, how we should magnify Him together, that despite our sin and rebellion, He will not give up on redeeming a people for His own possession and that gave Jesus as head over all things to the church which is His body the fullness of Him who fills all in all. I feel like Mars Hill is bringing many people to Christ. Isn't that the point of church? No pastor is perfect, no church is perfect and you are not perfect. How would you like it if I publicly criticized your every move? I am not trying to bash you but I think you need to be careful how you speak about others. If Jesus were next to you, would you say those same things about Pastor Mark and Mars Hill to him? What do you think he would say back? I just don't think it is your place to reprimand someone in a way that is only critical. It just seems childish to bash someone on a blog because you had a falling out with them… just my opinion. Is God's Church in trouble or is man in trouble? For 1,000 years there was one Universal Church, then an Eastern Catholic Church and a Western Catholic Church. Then in 1542, there began a division that has spawned 20,000-38,000 divisions in the Body of Christ. God desires us to hear His voice, not with hardened hearts but with hearts open to His Truth, the continuity of Truth for 2,000 years in the Catholic Church. Really, check out http://www.catholicscomehome.org Be open to hearing God direct His Church today! With all His love and Mercy, the Catholic Church loves you! Your comment makes it sound like I Tim 3 and 5 are irrelevant passages of Scripture. How dare Paul restrict qualifications for an elder who is also leading others to Christ? Well, he did! Thank you so much Wendy for your thoughtful words. My husband and I have been struggling with these issues since leaving 9 months ago, when we began the process of bringing charges against an elder at our MH campus. We found a new church and have been trying to move past the damage. I feel a brokenness in my relationship with others who are my brothers and sisters in Christ but behaving in hurtful ways towards the greater church family. Your post help give me careful insight into a complex situation. Wendy, as a 40 yr old now who's really appreciated Driscoll & the New Young & Restless Reformed group the last 10 years from afar, I think you're last paragraph about Discipline vs. Persecution sums up exactly the elephant in the room right now for all involved, both supporters & dissenters. I've long been a Driscoll apologist because the Holy Spirit has used his preaching in my life big time and has really kept my bent toward being theologically conservative. While not always agreeing with him on some things, I feel like he preaches the Gospel message faithfully. I wonder if he feels like he's getting all the big things right like preaching Jesus & the Gospel, being a good family man, etc. so he sees leadership (or the abuse of) as minor things when it's a glaring flaw to many. Ironically, one of the things that he's encouraged me in over the years is how he's been pretty open about his own flaws publicly. Unless it's the big “A” adultery, church kids of the 80's are used to a church culture of leadership doing no wrong or least being silent about it–which can be just as destructive. I like a pastor who shares their mistakes. I also believe Mark is one of the first pastors to grow up on the internet for all to see, warts and all which brings more scrutiny than the church in the past. I, too, hate how a ton of people want to pile on in their own sin to see him go away just because of other issues they have with him (or out of bitterness). While checking my own heart to see if appreciation turns to idolatry, I can't help but see where there's smoke there's fire. Especially since Dave Kraft has weighed in his concerns being someone I respect from afar. You've also been there and I respect & trust you, too. I think it's profound that you say God is doing this to “Discipline” Mark & Mars Hill for their good and not that Satan is doing this as “Persecution”. Thank you for giving me that to chew on. I pray they (Mars Hill) do not continue down the path of “us against the world”. It seems Mark somewhat comes close at times to fully repent but only seems to go part way. I trust God will be glorified in the end by his Bride the Church, I just pray that this situation doesn't end up ugly to a watching world in the meantime.